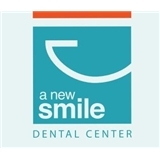 A New Smile Dental Center (Miami) - Book Appointment Online! All new patients that schedule through ZocDoc will receive complimentary home bleaching kit when they come for their first visit. Please mention at time of appointment. Mission Statement: Providing optimum dental care in a loving environment. Our goal is to deliver quality, affordable dentistry in a friendly and comfortable environment. We always strive to make your stay as pleasurable as possible while giving you the attention you deserve. Multiple doctors practice at A New Smile, providing each and every patient with individual, gentle care. Get one step closer to the beautiful, healthy smile you've been dreaming of, make an appointment today!